Fashion conscious divas with kids rejoice. You don’t have to sacrifice style anymore. Dump that boring, old minivan in favor of a luxury ride. 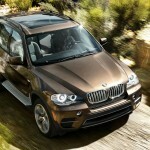 The BMW X5 is a chic SUV (I mean SAV – short for sport activity vehicle in BMW lingo). It’s perfect for any busy, stylish mom who works part-time as a carpool jockey with children and cargo always in tow. Some say big SUVs are falling out of fashion — replaced by smaller SUVs and trendier compact crossover utility vehicles. But the reality is some families still want full-sized vehicles with serious cargo room for kids, Fido, and all the gear needed to get to hockey practice, dance recitals, and school. 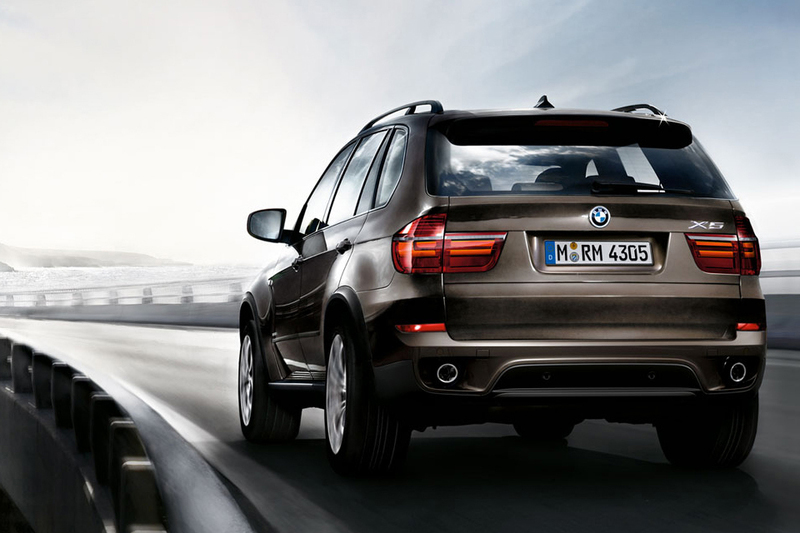 The BMW X5 delivers on all fronts — it’s safe, spacious, and stylish. 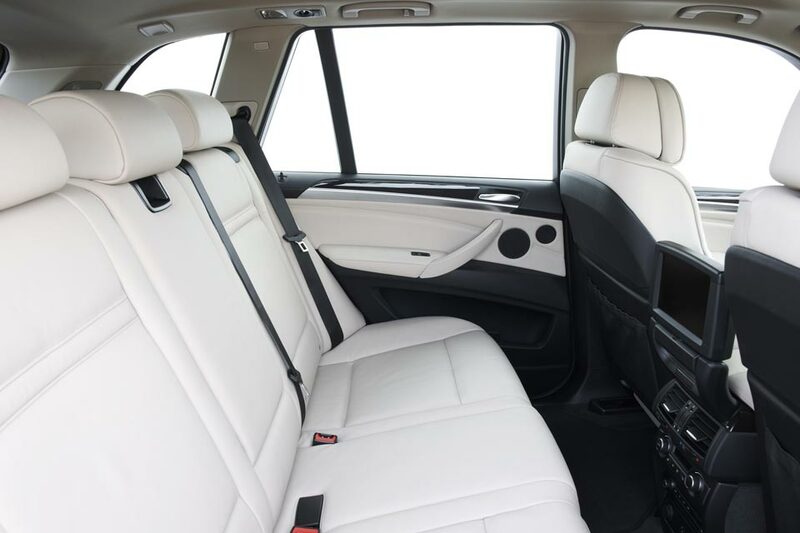 The BMW X5 has room for five, but you can get an optional third row to expand the seating to seven. At $1,700, the seats are a bit pricey, and, frankly, a little tight and not designed for adults. Kids, however, will love them — my nieces and nephews screamed shot gun for the 3rd row instead of the front passenger seat. Seems tiny people don’t feel trapped back there. A huge panoramic roof makes the cabin feel airy and light. If it gets too much, you can draw the shade and raise the side sunshades to block out the rays. The front seats are comfortable and supportive and sit high enough for a great view of the road ahead. Supple leather and 10-way power front seats with memory are nice touches. Once you find your favorite seating position, you can store it along with the side mirror and steering wheel positions via a memory button. It’s a great feature for a two-driver family — every time you switch drivers you can easily return to your preferred position with the push of one button. 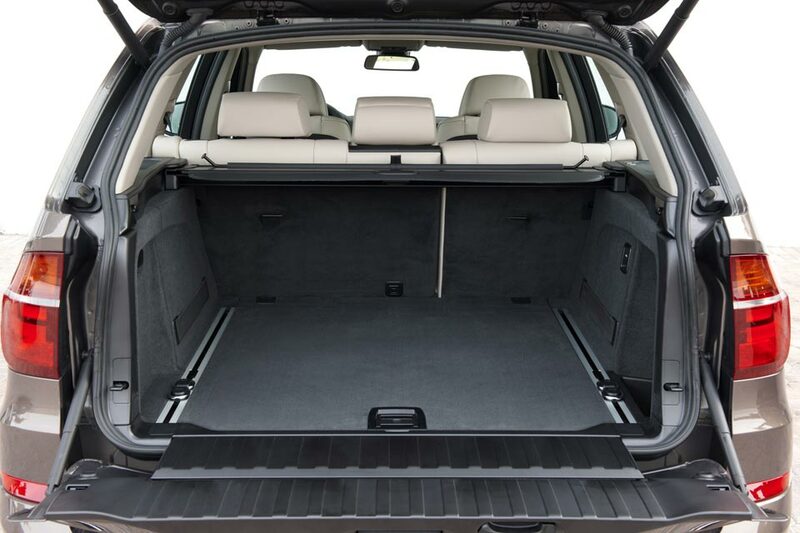 When all three rows are in use, cargo space is nearly non-existent. So if you don’t need the third row, you might want to fold down the seats. 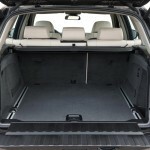 The double opening hatch makes it easy to throw items in the cargo area fast without opening up the entire back. A sliding cover hides all your goodies from curious eyes. 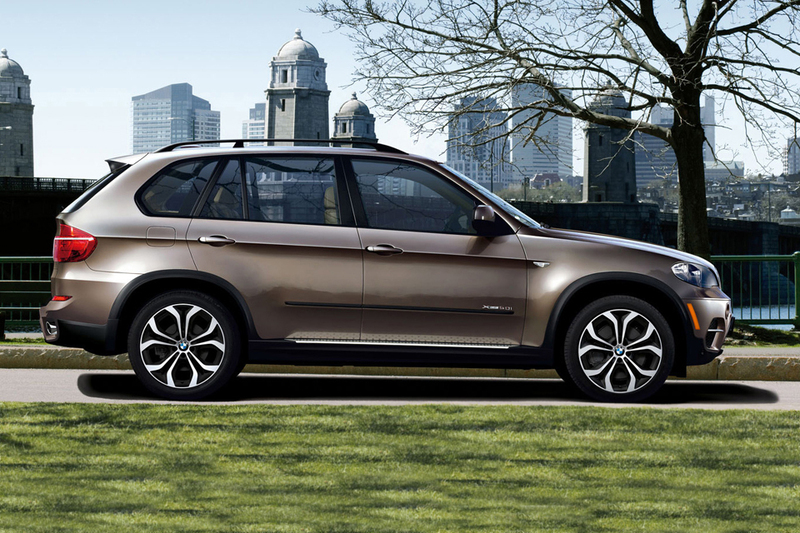 The BMW X5 is built for large families, and you can add extras to keep kids busy; a rear-seat entertainment system costs $1,700 and is a nice-to-have on long road trips. 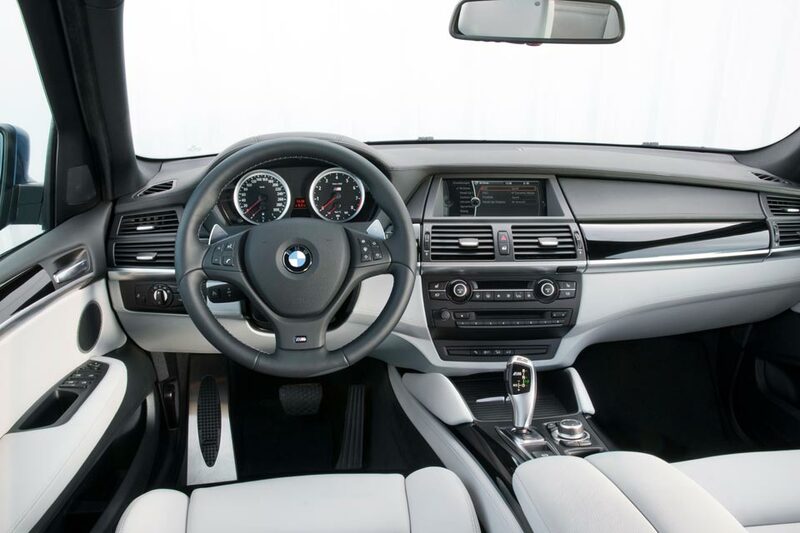 As expected for a vehicle in this price range, the BMW X5 comes with a long list of safety features such as airbags all round, stability control, traction control, hill descent control, and anti-whiplash front headrests. But the safety item that tops my list is the run-flat tires. If you get a flat far from town, you can still drive on it at slow speeds for up to 150 miles. No need to stop in some shady area to change a tire or wait for roadside assistance. 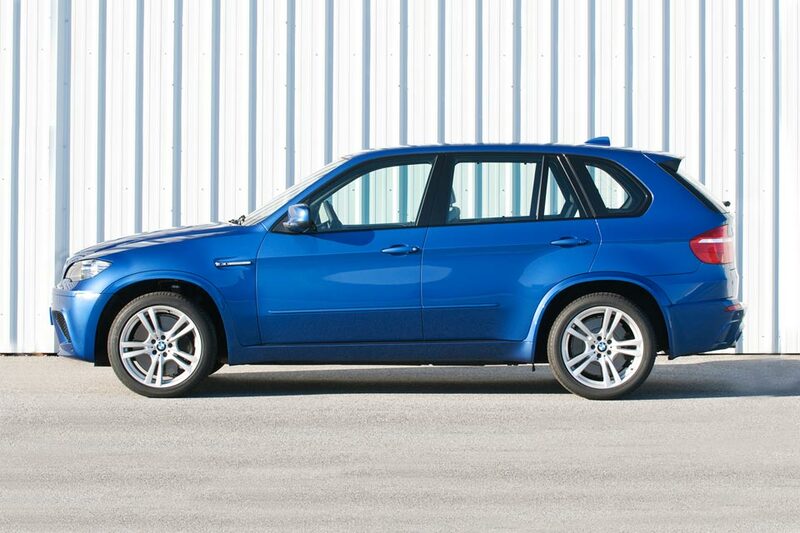 All X5s are equipped with all-wheel-drive. This feature provides excellent traction on wet, icy and even dry pavement. Gizmos galore adorn the X5. One of the cool features is the head-up display; it projects information such as your cruising speed and directions from the navigation system directly onto the windshield so you don’t have to take your eyes off the road — it’s always in your direct line of sight. I love the ride and handling of a Bimmer. But this one feels big and bulky to drive — it takes time to get used to. It’s also difficult to park. In crowded shopping malls where the spots seem to be getting smaller it takes maneuvering to squeeze this large SAV into a parking spot. 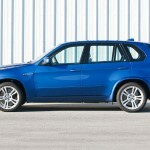 Still, despite its heavy weight and tall body, the X5 has minimal body lean when cornering. It also soaks up bumps in the road beautifully and there’s no wind or engine noise seeping into the cabin. 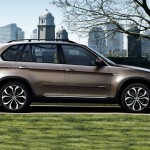 The BMW X5 comes in several trims, starting with a base xDrive35i for $48,395 -- but remember that BMW offers several alluring option packages that can double the price. 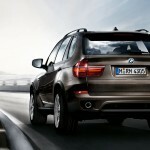 The most expensive trim is an X5 M, courtesy of BMW’s sport division; the M stands for serious muscle power. With a massive V-8 and 555 ponies it’s a racecar enthusiasts dream — built for Germany’s autobahn, not for a quick trip to the grocery store. And the price tag, a whopping $89,745, leaves a lot to be desired. Personally, I’d skip the M and go for the more fuel efficient and environmentally friendly diesel. 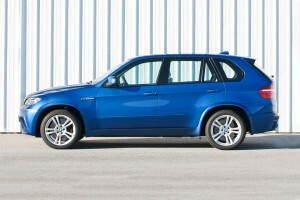 Dubbed xDrive35d it costs $57,595. And you’ll save serious cash at the pump - you can drive up to 585 miles before you need to fill up again — that’s like taking a road trip with your best girlfriends from L.A., the city of angels, to sin city in Vegas and back. Sure, diesels had a bad rap in the past. But today’s diesels aren’t noisy, polluting, or smelly anymore — they’re refined, quiet, and fuel-efficient. You’ll love this German luxury SAV, especially if you’re a designer-donning, on-the-go mom. 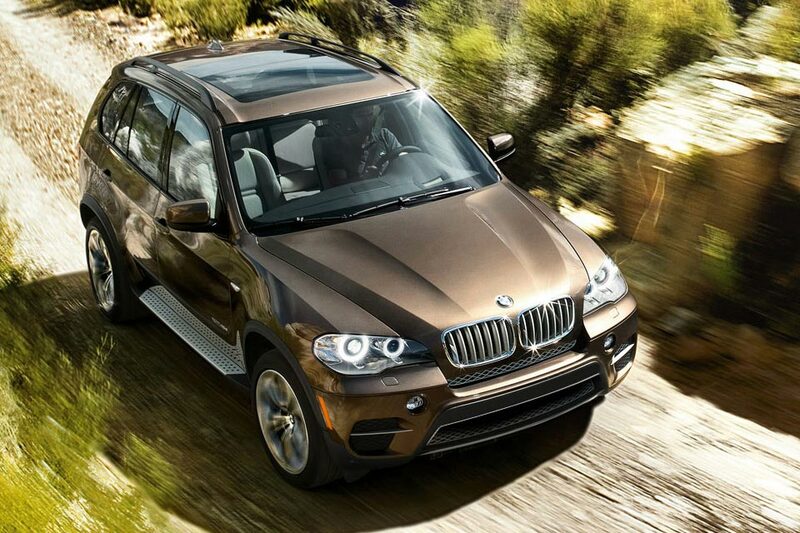 And families that enjoy outdoor adventure will appreciate the X5’s rugged capabilities off-road. The famed blue and white Bimmer emblem has serious cache for the fashion conscious diva with kids. Get a flat — no worries. The run-flat tires will let you drive on them for up to 150 miles. Skip the M ­ too pricy, too much muscle power and too much testosterone.